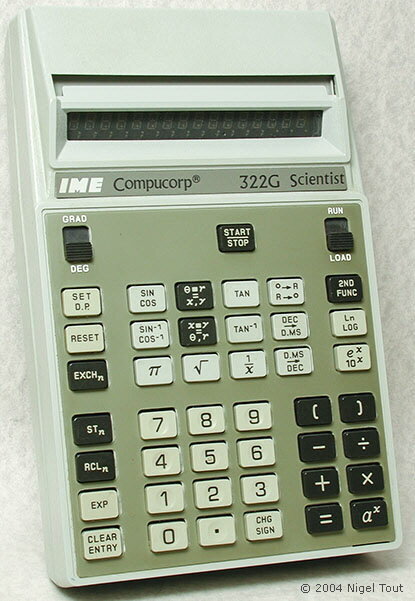 Computer Design Corporation of Los Angeles, U.S.A. produced highly advanced scientific, financial, and statistical electronic calculators in the early 1970s. These machines were sold under the Compucorp name and were also supplied as OEM to Monroe, Sumlock, IME, Ricoh, and others. In 1975 Compucorp was in financial trouble and defaulted on a bank loan. However, the assets and name were purchased and Compucorp lived for another few years primarily as a producer of small business computers and word processors. For an excellent account of the history of Compucorp see Rick Bensene's site at http://www.oldcalculatormuseum.com/d-compucorp.html, and for more technical details of some Compucorp machines see John Wolff's site at http://www.johnwolff.id.au/calculators/Compucorp/Compucorp.htm. These are later models, some labelled by Compucorp as the OEM for sale by other companies. Compucorp 322G Scientist labelled for the Italian IME (Industria Macchine Elettroniche) company. Scientific calculator programmable with 80 steps of storage. 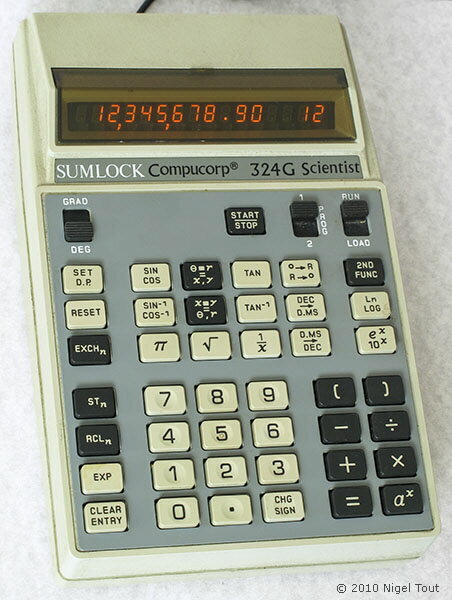 Compucorp 324G Scientist labelled for the British Sumlock-Anita company. Scientific calculator programmable with two independent 80 steps of storage. 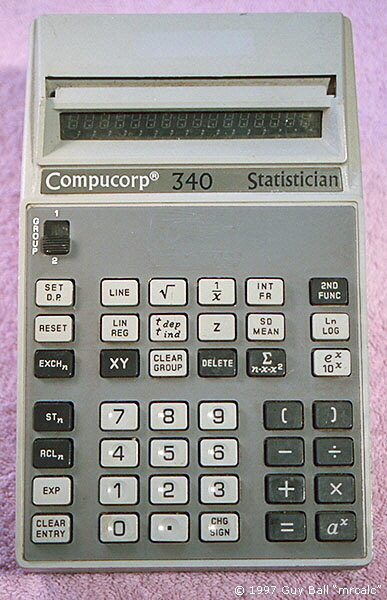 Compucorp 340 Statistician, calculator with statistics functions.